Hi guys! So I had my Louis Vuitton bag for a while, and I bought it pre-loved from Italy, so vachetta handles were already dark enough, I'd even say they were very dark brown in the middle. After 6 month wearing that bag I decided that I really need to clean the handles just to keep the bag knit. And I've been trying to find the best way I can do that. So now that I finally found it, I'm gonna share it with you. Use scissors to cut Magic Eraser to smaller pieces. That way it will be easier for you to use it. Then dunk it in the water, take it out and wring it out on the paper towel. After a while you'll see that eraser is stained, but don't finish right there, coz you probably removed only dirt and oil. I was a bit worried about ruining leather, so I stoped and let it dry. However you can already see the difference: oil and dirt were removed succesfully, handles also become a bit lighter. I decided to leave the bag for couple of hours so that handles can dry fully. And then I repeated the whole process again. The result was fantastic! On the left, handle is clean, but still dark, and on the right, it's much lighter. As you can see the difference is obvious and Magic Eraser really works. 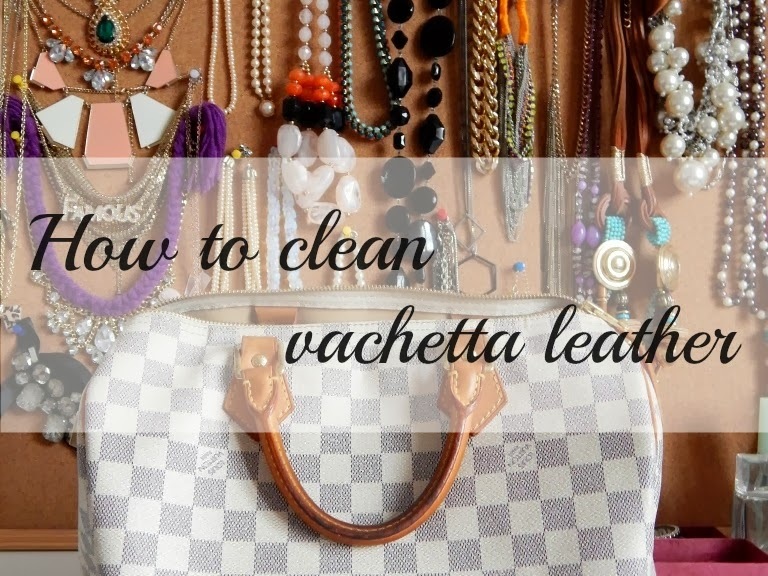 So I hope this post was useful and if you have any other method to clean vachetta, I'd love to know it, so make sure you leave the comment below! This was so useful thanks for the tips.